A multitude of information is available at our fingertips on the World Wide Web. The Internet can be an excellent source of health-related information. In fact, seeking health information is the third most common reason people go online. According to Pew Internet, a research organization, 87percent of online Americans say the web helps them learn new things, and 72 percent say it improves their ability to share ideas. Most enjoy having access to more information, rather than feel overloaded by it. Chat rooms and Forums*: Live discussion among participants, usually related to a medically specific topics. These forums can provide a wealth of helpful information, ideas and support. However, be wary of the information that is generated. Some information might be based on personal opinions, or even worse, for the sole purpose of selling a product. The treatment or therapy makes glowing claims about its successes, as in promising to cure an illness(es) or disease(s). The treatment or therapy relies solely on personal testimonials rather than research findings reported in a reputable medical or scientific journal. 1. The purpose of the web site should be clearly stated. 2. The authors of the material must be identified. Look for the authors’ credentials. Is the author a physician, nurse or other health care professional? 3. The owner of the web site and the organization with which the author is affiliated should be identified with contact information. 4. Beware of health web sites that appear to be trying to sell something. 5. If the web site quotes material from another source, the appropriate credit should be given. 6. The date of publication should be clearly posted. Make sure the information you are reading is current. 7. The web site should have a clearly stated privacy and security policy, especially if you are disclosing personal information. The Internet has become a valuable tool to give and receive information. As long as you can balance what you hear with the regular consultation of your physician or other medical professional, you can increase your knowledge with both efficiency and confidence. 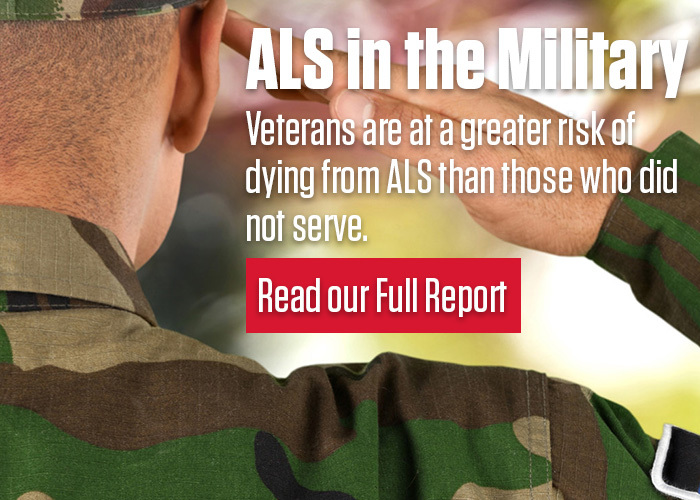 *The ALS Association provides these links for informational purposes only. The Association does not endorse these web sites, nor any product or physician represented on these sites. This information has been written by ALS health care professionals and/or copied from various sources, (the Internet, newsletters, articles, etc.). The information is intended to be general in nature and is not to be relied upon as medical advice. Before any action is taken relative to your specific situation, you should check with your physician. The information contained on this web site is protected by copyright and may not be published, broadcast or otherwise distributed without the prior written authorization of The ALS Association.